Work experience before MLML: As an undergraduate, I helped out in a few aquatic ecology labs. In the summer of 2012, I was an NSF REU intern at the University of Delaware, where I monitored larval and adult intertidal crab populations with an emphasis on the invasive Asian shore crab. Growing up, I spent most of my summers at Conneaut Lake, a little lake north of Pittsburgh. Through boating, fishing, catching turtles, and simply observing the wildlife, I developed a deep interest in aquatic ecology. Going into college, I actually wanted to study freshwater turtles, but after learning to dive and taking a marine biology course at Clemson, my interests began to shift towards the oceans. I began to work in a lab that studied blue crabs, and after my first weekend of field work, cruising around the ACE river basin in South Carolina, watching dolphins swim alongside the boat and seeing the myriad of unique creatures in our samples, I was hooked on marine research. Throughout my undergraduate career, I have had a number of opportunities to get involved in ecological research. I worked in labs that studied organisms from freshwater snails to blue crabs. 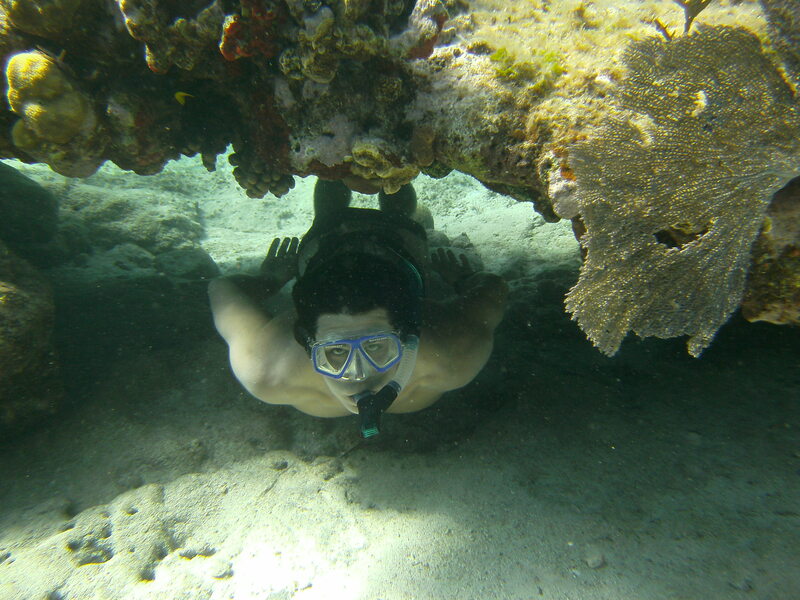 After deciding I wanted to study marine science, I spent a semester studying abroad in the Turks and Caicos Islands in the Caribbean, where I got to experience tropical marine ecology and conservation issues hands-on. 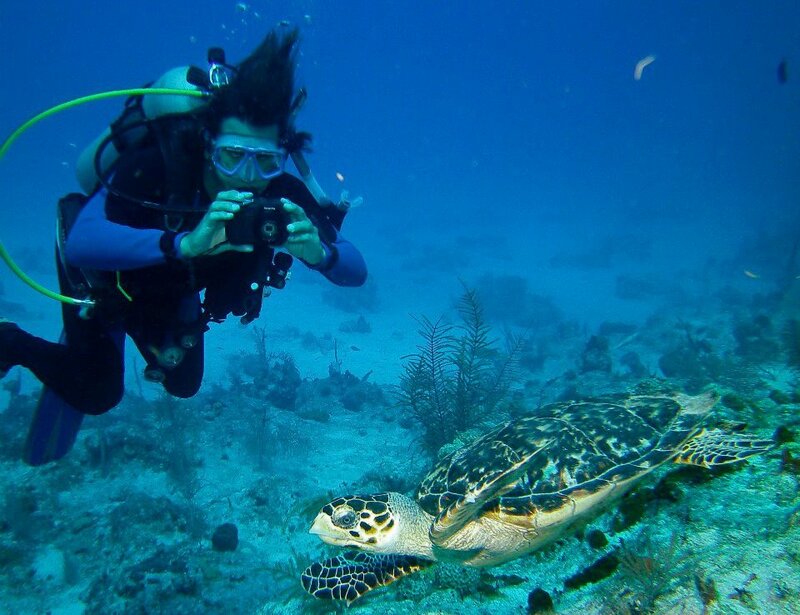 While abroad, I was able to get involved in a number of projects, ranging from coral health surveys to sea turtle movement studies, and I acquired a broad range of additional skills in the process. My internship at the University of Delaware, during which I studied an invasive intertidal crab, further enhanced my belief that marine science was the field for me. During my final year of my undergraduate degree, I studied the effects of disease and ocean acidification on the behavior of Caribbean spiny lobsters for my senior thesis. Through these opportunities, I knew that I wanted to continue learning about the oceans while refining my skills as a scientist, and that desire led me to graduate school! As I just started in the lab this fall, I do not have a specific thesis developed yet, but I am broadly interested in marine ecology. I find the complexity of ecosystems, with biology, chemistry, geology, and physics all interacting together, to be absolutely fascinating. More specifically, I am interested in within-species variation of important life history traits, such as diet and fecundity, and how these change based on location. Not only that, I am interested in determining what physical and biological factors drive these variations. I think it’s an intriguing topic to study, because members of the same species can have different impacts on an ecosystem if these traits vary. This kind of research is also important for biological management, as different populations of the same species may need to be managed separately to ensure the most effective results. I plan to continue conducting research in the marine realm and to get involved in outreach efforts. Whether I will head into a PhD program or begin a career outside of academia remains to be seen, but I will be happy as long as I’m helping to advance our knowledge of the oceans! It is incredibly rewarding to be surrounded by a community of people that are all enthusiastic about marine science. Not only is it great from a professional aspect, as we always have people with whom to discuss ideas, but it also is beneficial from a social aspect. As for challenges, it is tough to narrow down my interests and to focus on my own work when there is so much cool work going on around the lab! If you’re interested in it, then go for it! If you’re looking to make a career out of it, then it’s very beneficial to get research experience whenever possible. Experience helps make you stand out when applying to schools/jobs, and it helps to develop your skills that you will be using in the future. Aside from that, a strong background in science and math and effective writing and communication skills will go a long way. Even if you do not want to make a career out of marine science, it’s never too late to get involved, and there are a number of great ways to help out with research/outreach, regardless of your background.